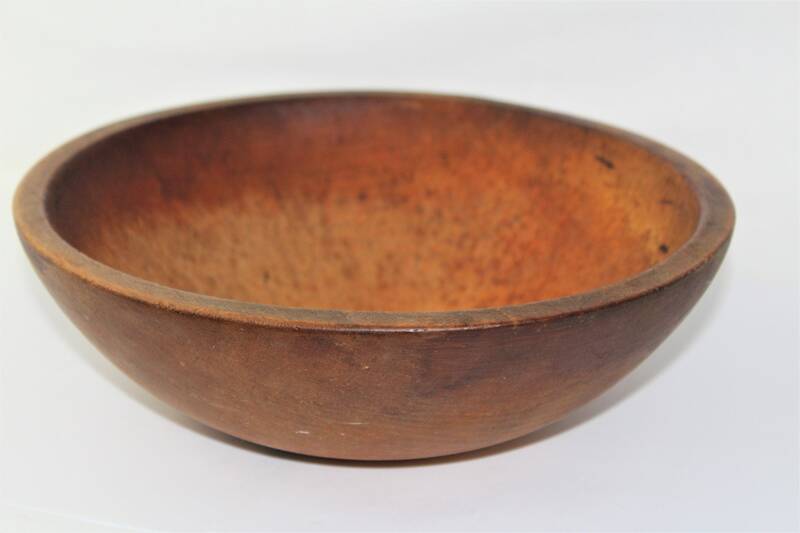 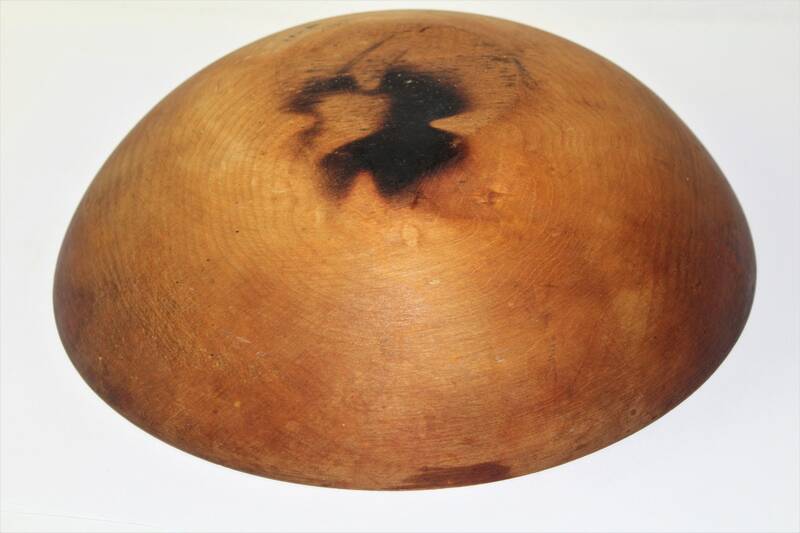 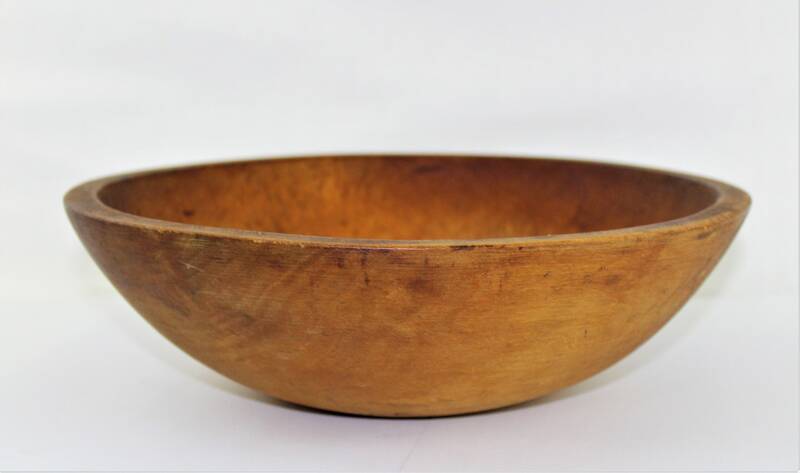 This is a beautiful wood dough bowl with wonderful patina and lots character made from one piece of solid maple it is the perfect size for those smaller jobs it is in vintage condition and ready to be used for years to come. 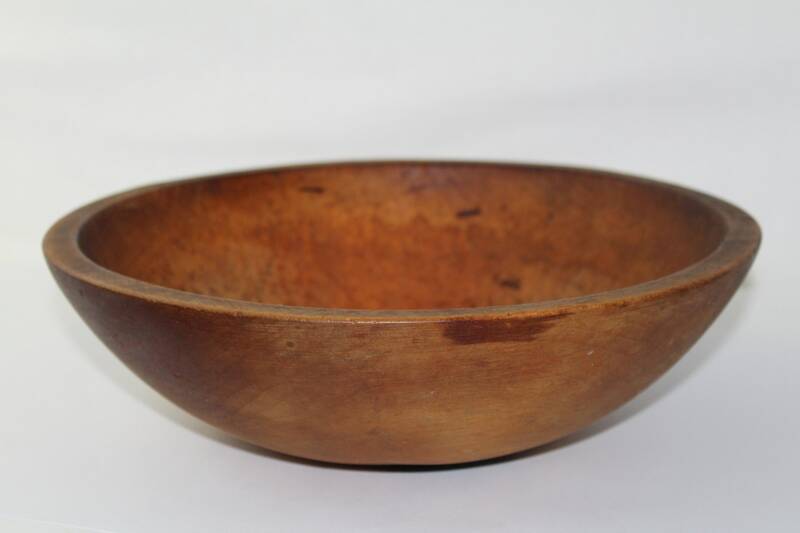 Measures 11 ½” x 10 ¼" across and is approximately 3 ½” deep. 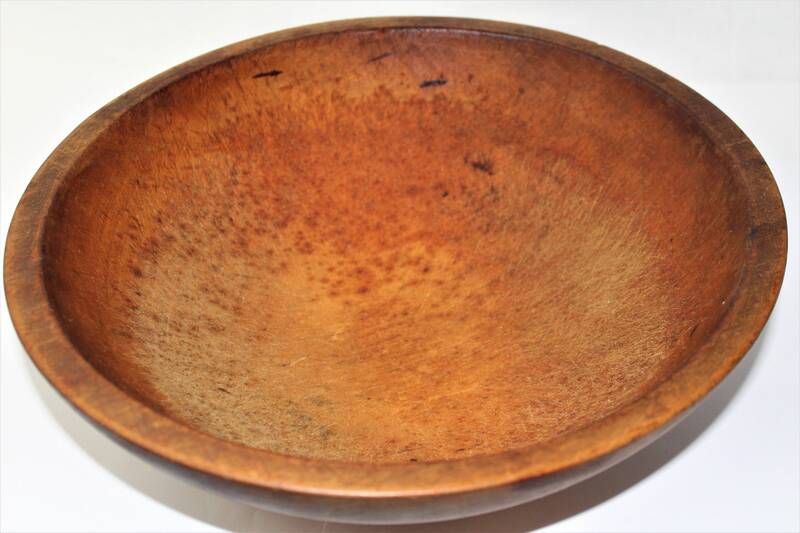 Condition is very nice, Great Patina with nice oil rubbed finish, has various scrapes and marks from years of wonderful use, has a burn mark on the bottom from getting to close to the flame, very vintage piece.